Hanuman Jayanti is an important Hindu festival and is celebrated to commemorate the birth of Hanuman. Hanuman is a devotee of Rama, and a central character in the Indian epic Ramayana and is a symbol of strength and energy. Many believers are visiting a Hanuman temple on Hanuman Jayanti, brush his image with red powder color, Sindur, and decorate it with flowers. They sing the polular Hanuman Chalisa and read stories from the Ramayana. Hanuman is a character in the Sanskrit epic Ramayana. As the embodiment of a devotional servant, boundless loyalty and superhuman strength, he appears again and again as a savior to his master Rama and his family. The demon Ravana had abducted Sita, the wife of Rama, to Lanka, and Rama could only free her with the help of Hanuman and his army. Out of gratitude for Hanuman’ support and faithful service, Rama later grants him immortality. According to the Ramayana, no one can surpass Hanuman in strength, gentleness and wisdom. He embodies the ideal type of a servant and stands for loyalty, devotion and obedience to his master. 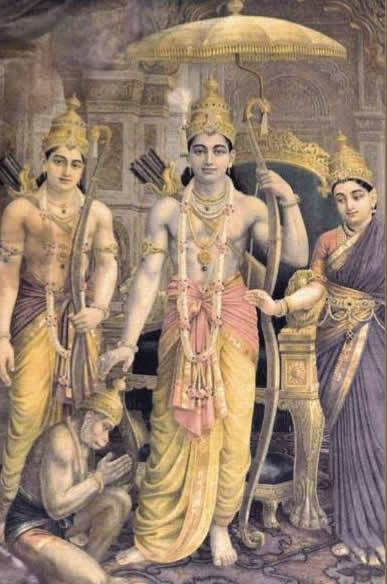 He is the faithful friend and admirer of Rama. Therefore in each Rama temple is also a statue of Hanuman. It is said that Hanuman would be able to assume any form at will, wield rocks, move mountains, dart through the air, seize the clouds and rival Garuda in swiftness of flight. He is worshipped in folk tradition as a deity with magical powers and the ability to conquer evil spirits. The Hanuman Chalisa is a Hindu devotional hymn – a stotra – addressed to Hanuman. It is traditionally believed to have been authored by 16th-century poet Tulsidas and consists of 40 verses, excluding the couplets at the beginning and at the end. Hanuman’s qualities – his strength, courage, wisdom and devotion to Rama and also the many names by which he was known, are described in the Hanuman Chalisa. 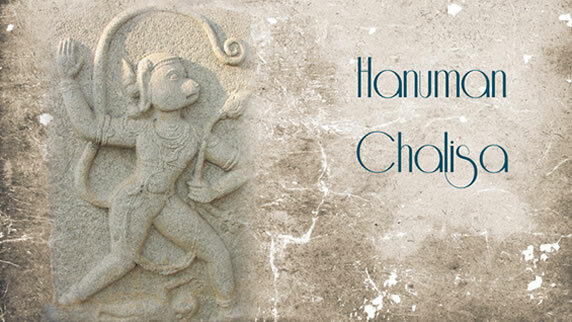 The recitation or chanting of the Hanuman Chalisa is a common religious practice, especially on Hanuman Jayanti.